Teigan says Invest in ME! Ten-year old Teigan ran to raise funds for biomedical ME research in The Grand Hotel Mini Mile Race in Brighton on 15th April. 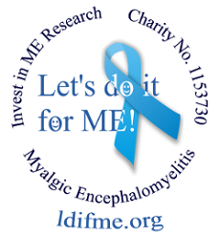 "I want to raise all I can for Invest in ME (IiME)". 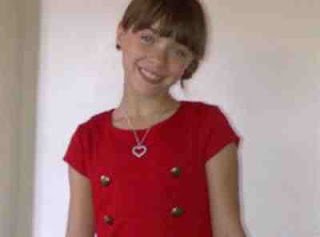 "I am 10 years old, since I was 5 my mum has suffered with M.E and other illnesses. I want to raise money to help gain research in the UK which may help get treatment and maybe even one day, a cure. "LET'S DO IT FOR ME!" ﻿﻿ "It breaks my heart to see my mum suffering and in pain. We dont get to go out often like my friends do, but my mum does her best. I know it upsets her as I have seen her wiping away tears. When we do manage a day out, mum has to use a wheelchair, even then it tires her out for days, she catches viruses very easily too. All I want is my well mum back. It upsets me to know children suffer this cruel illness. I know how lucky I am that I don't have it, so I will do what I can do to help not just my mum but children and adults suffering too. "Thank you for reading my story"
"Pease donate what you can"
Teigan completed the race in under 10 minutes (9:43) and plans to train in preparation to take part again next year. Meanwhile, Teigan is taking part in a dance competition this weekend. We hope she has a wonderful time and also wish her the best of luck with her SATS in May. "Thank you for sponsoring M.E"
﻿The Grand Hotel Mini Mile Races are age-related races - open to 7 - 17 year olds - staged along the seafront on the morning of The Brighton Marathon, covering a one mile distance. 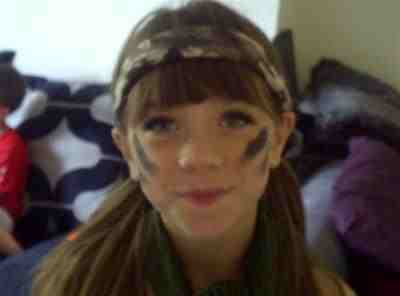 2,000 children took part this year and Teigan is one of three children selected for a promotional video for the race. Teigan is raising funds for research focussing on virology and immunology, aiming to find effective treatments for ME as rapidly as possible, with the potential to benefit many thousands of children and adults throughout the UK and beyond. Please click Page tabs for FAQs and Details. Teigan's Just Giving fundraising page remains open for donations - she has raised over £800 including Gift Aid so far - many thanks to all Teigan's sponsors and a big THANK YOU from us all to this little star!